Nike have launched a brand new Football Fall-collection, with a pair of cool Nike Air Max shoes, as well as the exceedingly popular Nike Roshe Run, so you can dress to impress with your football style, anywhere you go. We have taken a look at the nice shoes and Nike's FC247-collection, which is football boots for all surfaces. Football is a lifestyle. Some might even go as far as saying that football is life. It is not only on the hallowed grass that real football nerds think football and want to express their passion for the beautiful game. Nike have with a new collection taken into account that football doesn't just end after the final whistle and with their exclusive Football Fall-collection, they have some goodies for the football fans, who simply can't get enough football. If you want to express your football style regardless of being at work, in school, or on your way to training, then it is hard to get around the elegant Nike Air Max 1 FB, which we have taken a closer look at. The shoe is a true Nike classic and the latest colourway is no dull affair, even though the shoe has been around for a few years. Nike Air Max 1 FB has a unique design and as a part of the Football Fall 13-collection this is a very exclusive shoe, which definitely reflects in the design. The upper of the shoe is made with a fresh design and elegant pattern, which makes the shoe very relevant for the style conscious. 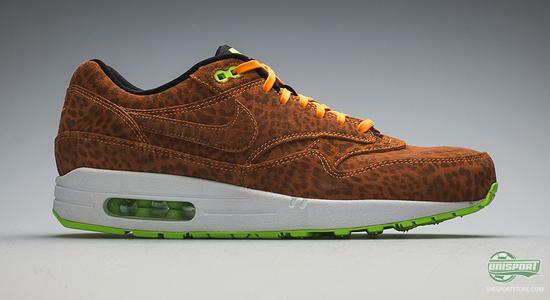 The shoe is sky blue, with dots all over, which gives an upper that could resemble something you might find on the African savannah. 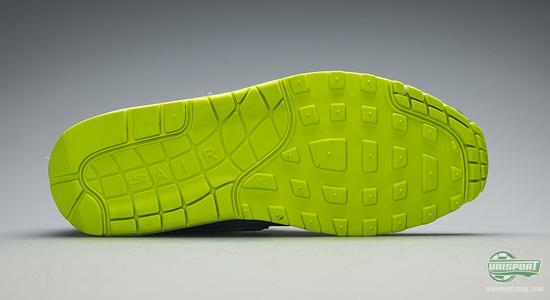 Nike Air Max is equipped with the visible Max Air unit on the heel, which gives optimal shock absorbency and a good cushioning from shocks. The midsole is made entirely from foam, which gives durability, stability and adds padding to optimise comfort, so the shoe never feel uncomfortable to wear. Furthermore there is extra foam around the ankle, which gives more comfort. 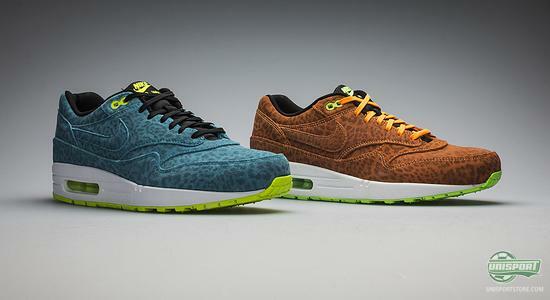 It is not just in blue that the Nike Air Max 1 FB looks good. No matter where you are going and for what you are using them, then the shoe looks just as good in the orange colourway. Just like with the blue colourway, this shoe also has the leopard print, which is a part of the elegant design. It is far from the first shoe, which has the Air Max and a focus on sublime shock-absorbency. Nike's revolutionising Air-sole unit has been a part of Nike's footwear since the end of the seventies and already in 1987 the Nike Air Max saw the light of day, with the visible air cushioned heel. 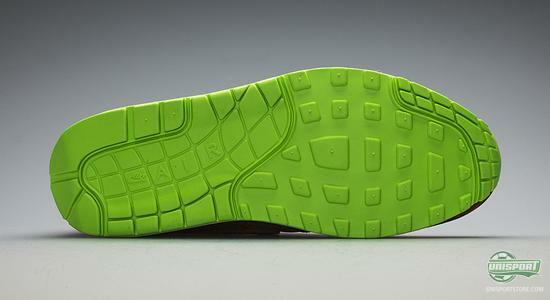 This meant you not only got to feel the Air-Sole comfort  suddenly it could be seen too. Since then the Air Max has been a common feature on many of Nike's shoes and this has helped cement the American sportwear giants at the very forefront of footwear production. 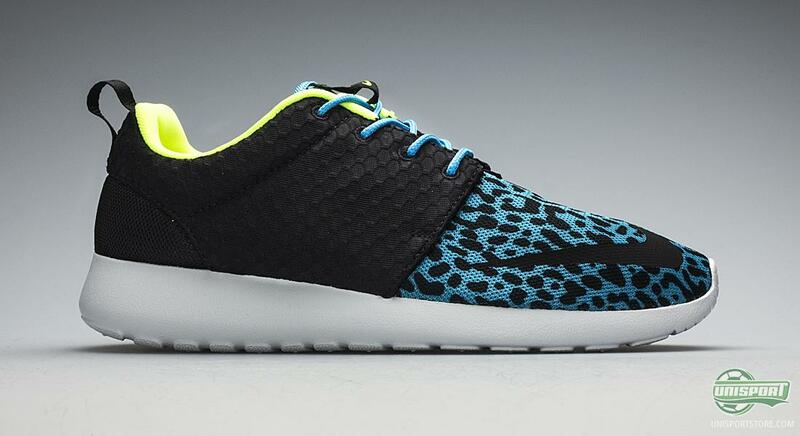 At the top of the pile is also the newest version of Nike's modern classic, the Roshe Run. The shoe is a hybrid, which can be used for many things. Not only is it a very common feature in the street picture, with it being one of the most popular fashion shoes at the moment, but it also works well if you want to go for a brisk run. It signals that you live an active lifestyle and with the newest black and turquoise colourway there can be no questions asked about your clothing style either. Nike Roshe run excels at being a lightweight shoe, which has great breathability, so the shoe never feels uncomfortable. This is regardless of whether the sweat is pouring and your feet are getting heated. At the same time the Phylon midsole gives optimal shock-absorbency, just like the Solar, which supports your foot. With the shoes from Nike's exclusive Football Fall 13-collection you are well dressed to express the good football style all year round. However a real footballer doesn't just dress the part, he or she is always ready to play football, no matter the surface. 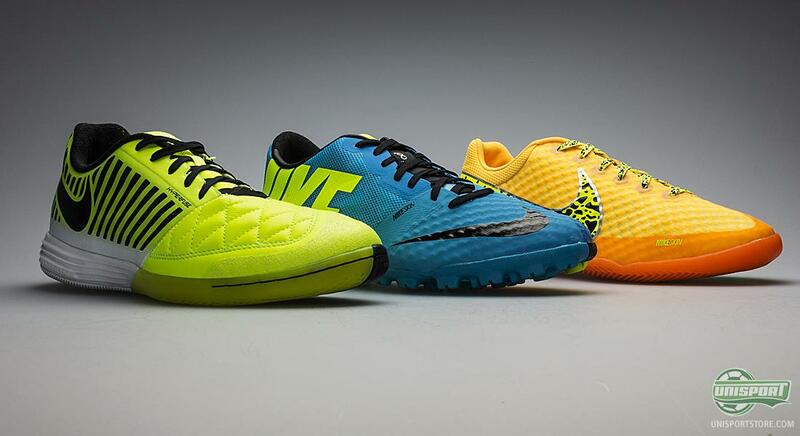 This is why Nike also launched their Nike FC247 collection, which has a boot for you, no matter what surface you wanna play on. 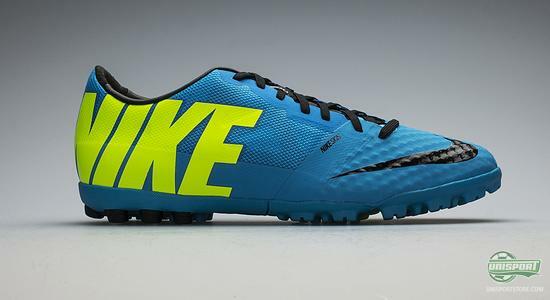 Nike Bomba Finale II ACC the boot that is designed to take on turf and artificial grass pitches, with sublime ball control and supreme touch. The boot has a NikeSkin upper and at the same time you find the All Conditions Control, so you are sure to have a boot, which will perform, once the sun is gone and there is nothing but artificial grass in sight. 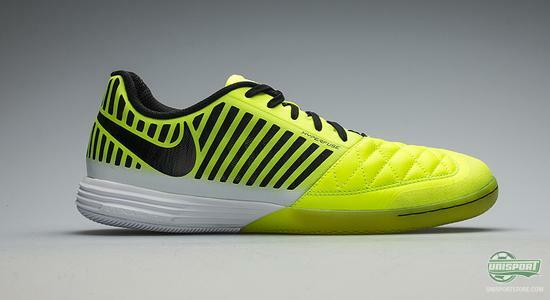 With the Nike Lunargato II you get a boot, which is made to let you react with lightning speed and safely on asphalt. The sole is made up of the very light and shock absorbing Lunarlon-foam and on the upper the dynamic mesh-material, which is paired with a front foot of leather. The Dynamic mesh-material gives good breathability and movability, while also providing support, so you don't topple over on the hard asphalt ground. Last but not least Nike have the new Nike Elastico II, which is made with the very nice synthetic NikeSkin that is very light, flexible and adapts to the foot, so you get a snug fit. 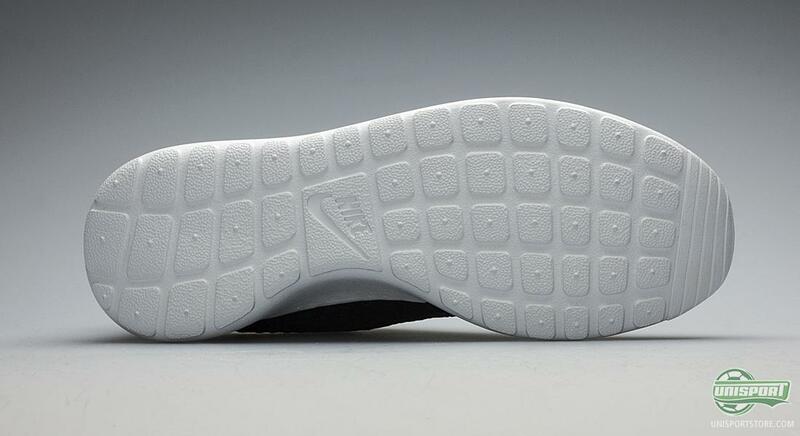 On the inside Nike have a support-band fitted, so your foot is kept well in place, to create good stability. To give the best possible floor grip, Nike have designed an outsole, which combines a fishbone-pattern and dotted area. 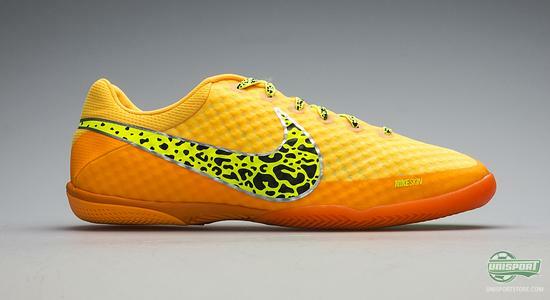 Are you a passionate footballer, then it is a good thing that Nike share the passion. With a great number of new shoes, which are made to express the football style and play football, there is no excuse for not taking on Autumn with football in mind. 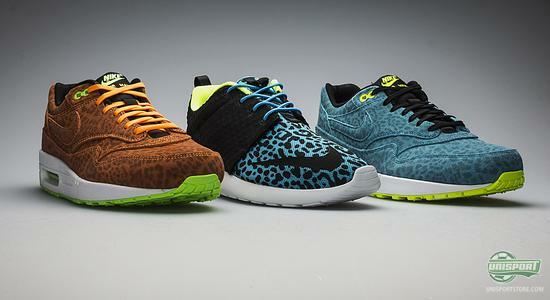 Which shoe do you like the best? And would you like to express football style, even when not playing football? As always we would love to hear your comments here, on Facebook and on Twitter.